In most countries, the status of bankruptcy is imposed by a court of law. There are many reasons why people go bankrupt, divorce being a major one. The legal term 'bankrupt' is given to people who can no longer pay their debts to creditors. In most countries, the status of bankruptcy is imposed by a court of law. There are many reasons why people go bankrupt, divorce being a major one. Marital disunion creates a huge financial burden on both partners in the form of astronomical legal fees for a divorce lawyer, division of assets, payment of child support, alimony and costs of maintaining two households after the separation. Partners who refuse to pay alimony or child support as per the agreement often leave the other helpless and cash-strapped. Other common reasons for bankruptcy include job loss, excessive use of credit, medical expenses and unforeseen contingencies. It is possible to avoid bankruptcy with careful financial planning. However, those who find themselves penniless and insolvent should consult with a credit counselor or financial planner before deciding to declare themselves bankrupt. Post-bankruptcy it generally takes three to five years to gain access to fresh, new credit once again. During this period it is best to manage one's financial affairs well by earning a strong, steady income and living within one's means. Bankruptcy will forever be on one's credit status and to conceal it would be fraud. However, at the end of the three/five year wait, bankrupt individuals can have a fresh start and begin to work on rebuilding their reputations with creditors, ground up. After bankruptcy, the portion of debt that cannot be paid off due to lack of funds will be completely wiped out, giving individuals a clean slate to start with again. 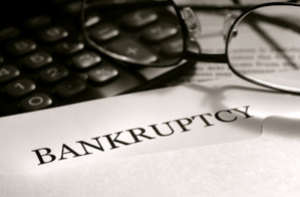 The word bankruptcy has a social stigma attached to it and nobody wants to be associated with it or admit that they need to declare or have already declared bankruptcy. However, bankruptcy proves to be a great relief to cash-strapped individuals struggling with the heavy burden of excessive debt. Bankruptcy helps individuals regain control of their finances and gives them the opportunity to reform and start afresh. With the heavy weight of debt erased, it allows individuals to start working towards their financial and life goals. Filing for bankruptcy will finally end the constant calls from creditors and their collection agents demanding money. This can be extremely stressful and once it is gone, it provides great relief to the bankrupt individual. Legal claims and actions by creditors is also rendered null and void. Interest charges on credit cards, loans and debts freeze and cease to accumulate once bankruptcy is filed. All debt except payments like alimony and child support is eliminated once bankruptcy is declared. Employers initially asked to take money out of the individual's salary to pay off creditors will be asked to stop and wages will no longer be garnished. Some of an individual's assets will be protected from being seized by creditors and debt collectors. Bankruptcy is a cost- efficient solution compared to other debt-solution options like debt consolidation loans or payday loans. There are certain steps that bankrupt individuals can take to rebuild credit once the three to five years has elapsed. Rebuilding credit is a gradual process that involves creating trust with creditors once again and is not unachievable. Opening a new savings or checking account at a local bank or credit union is a good idea after comparing all the interest charges, fees, services provided, minimum deposit requirements and so on. Ask around for recommendations and opinions to choose the best one. Acquiring a secure credit card that acts like a debit card in that the bank is paid beforehand and all payments go towards pumping the credit score is a great option for individuals looking to rebuild credit worthiness. At the end of every month it is important to ensure that all payments are disbursed and no balance is left outstanding. Credit companies want to see that there are no more payment defaults for a person who has a history of bad credit and bankruptcy. Bills must be religiously paid on time and online payments must be done at least one or two days before the deadline. It is extremely important to plan finances and bill payments meticulously to ensure that no payment is late or goes unpaid. The objective is to prove to credit companies that you can be trusted with credit and that your episode of bankruptcy is mere history. The greatest fear people have regarding bankruptcy is that they will lose every single asset they own. This is untrue because no matter how much you owe, creditors cannot touch assets like locked-in pensions. Each country, state and province has a list of assets that creditors cannot lay claim to. They can grab hold of a certain amount of assets because they have the right to claim some of the money they are owed, but they cannot take every single asset away from you. Most of the fear is simply created by creditors and debt collection agencies to frighten individuals into paying up. Since there is heavy social stigma attached to the bankruptcy many people fear that all their friends and social contacts will discover that they have filed for bankruptcy. This myth brings great shame and hesitation to individuals to even consider filing for bankruptcy. However, this is untrue. It is published only if the assets are very large. For minimal assets there is no publication in the papers so chances are nobody is going to find out easily. Many people believe that bankruptcy simply erases all of one's debts. This is not true. Debts like alimony, child support, court fines, student debts, mortgages, car loans and so on are not exempted or eliminated. Bankruptcy is believed to be an easy and inexpensive way out. While it does provide relief and is comparatively less expensive than other remedies, it does come with costs like the bankruptcy trustee's fees. It is a lengthy, tedious process that involves surrendering all credit cards and financial information to the trustee. It is always the last resort and should never be taken lightly. Consult a renowned Bankruptcy Law Firm in your local area where the attornyes are specilized in handling bankruptcy and other financial concerns. Bankruptcy is a complex process but it does provide hope for individuals completely weighed down by debt and lack of finances. There is light at the end of the tunnel and there should not be any fear that one's credit rating will be destroyed forever. It may take time to rebuild but it has been done before and is an attainable goal.